Word Town Daily Puzzle October 11 2018 Answers – Welcome to Word Town ! Let’s start by swiping from left to right, down or backward to make words and find the correct word ! Find words with Coin Letters to get coin rewards! Remember, the coin letter rewards will disappear when restart the level. Also find extra words to get more bonus. 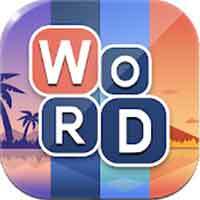 word town 10/11/2018 Word Town: Search, find & crush in crossword games by HI STUDIO LIMITED available on iPhone, iPad, iPod Touch, Android devices. – Simple and easy! Just swipe up, down, left, and right to connect letters and make words. – Every puzzle has a challenging theme, including toy, love, fashion, education, games, etc. – Plan ahead to pick words in right order. Restart or shuffle when get stuck. – Search and find cross words to crush letter blocks and solve puzzles. – Complete puzzles to unlock beautiful city themes. Like word finding games? A free crossword game with addictive landscapes is here! Search and find hidden words, crush letters and collapse! Time to enjoy daily brain training with your friends and family. Build words to collect FLOWERS. And double them by building correct answers! The flowers could be exchanged coins and magnets after passing the puzzle each day!